According to Reuters, the measure aims to curb a surge in immigration from economic crisis-hit Venezuela that has already driven hundreds of thousands of desperate migrants to Colombia, Peru, Ecuador, Chile and Brazil. Shortages of food and medicine, exacerbated by hyperinflation, have reportedly forced more than a million Venezuelans to flee to neighboring nations such as Ecuador, Colombia and Peru in recent months. Meanwhile, Ecuador will also bring back passport control with the border other South American nations Saturday to curb the influx of Venezuelans fleeing crisis at home, Interior Minister Mauro Toscanini said. “The Ecuadorian government is seriously concerned about humanitarian situation affecting thousands of Venezuelans who come to the country, to guarantee safety arrivals will be required to present passports to enter Ecuador,” Interior Minister Mauro Toscanini said in a statement quoted by the communications ministry. Venezuelans have been able to cross into Ecuador and Peru with a national ID. 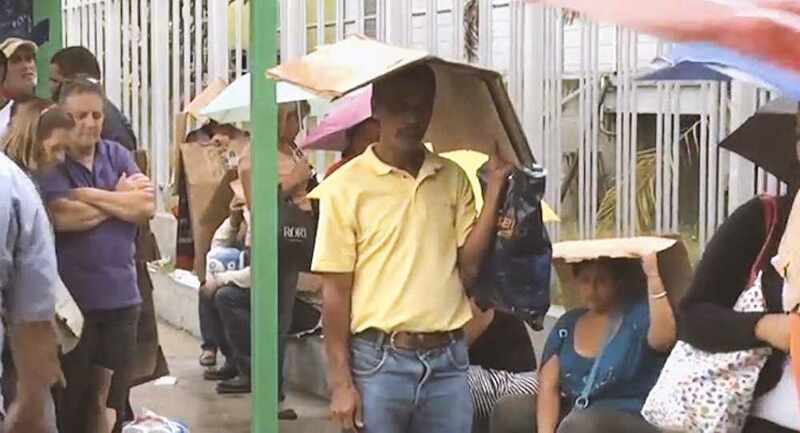 Concerns were raised after thousands of Venezuelans started moved to Colombia, Brazil, Peru, Chile and Ecuador to escape conflict and poverty in their home country. Last week, the annual inflation rate in Venezuela reached 82,766 percent. In late July, the International Monetary Fund (IMF) said it expected inflation in Venezuela to hit 1 million percent this year. The oil production in Venezuela has declined in the past few months due to economic and political crisis, as well as the US sanctions, which resulted in government’s revenues’ drop and soaring inflation. In May, US President Donald Trump signed an order prohibiting US citizens and legal bodies from making any transactions involving debts tied to the Venezuelan government debt as well as preventing Venezuelan officials from selling equity in any government-owned entity, including PDVSA, as part of its tightened sanctions on the country’s government. This step followed Maduro’s re-election, which the United States has criticized as unfair. In turn, Venezuelan President Nicolas Maduro has refused most international aid, claiming outside powers are bent on removing his government from power. “UNHCR [UN Refugee Agency] and the International Organization for Migration have launched regional appeals of $46 million and $32 million respectively to help governments and host communities with the response,” Dujarric said. A UN emergency response fund earlier provided $6.2 million to the two agencies to help kick start humanitarian appeals, Dujarric explained.